A fresh new look can be a perfect pick-me-up for the season. But! 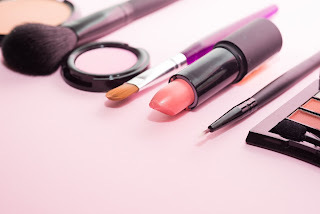 Have you ever considered that maybe it’s not YOU that needs a makeover; it’s your makeup bag? Think about renewing/redoing your makeup bag to be sure you’re using the highest quality products that won’t harm your skin. De-clutter. Do you really need more than one eyelash curler? Try reducing your makeup and makeup tools to around 10 items. Save room in your bag and time in your day with a go-to color palate. Use an oil-based makeup remover. Oil-based removers are the most effective for breaking down leftover residue, especially around the eyes. Our Herbacin two-phase makeup remover contains aloe vera and almond oil to soothe and condition your skin. Clean up. Make sure your foundation bottles and eye shadow brushes are clean. Any buildup of makeup residue, whether it’s on brushes or containers, can harbor bacteria. Avoid breakouts and irritation by making sure everything that touches your makeup is always clean. Invest. We’re all on a budget, but investing in one quality item with excellent ingredients (rather than a variety of cheaper items) will be more beneficial for your skin (and your wallet) over the long run. Do some research and plan ahead, rather than making impulse purchases.